Tinkling waterfalls and scenic views make Leura Cascades picnic area a family-friendly spot for a picnic and birdwatching, before a walk in nearby Blue Mountains National Park. A great family day trip, Valley of the Waters picnic area boasts scenic views, lookouts, walking, waterfalls, and accessible facilities in Blue Mountains National Park. Family-friendly Gordon Falls lookout and picnic area offers scenic valley views, birdwatching, walking and a playground, in Leura, near Blue Mountain National Park. 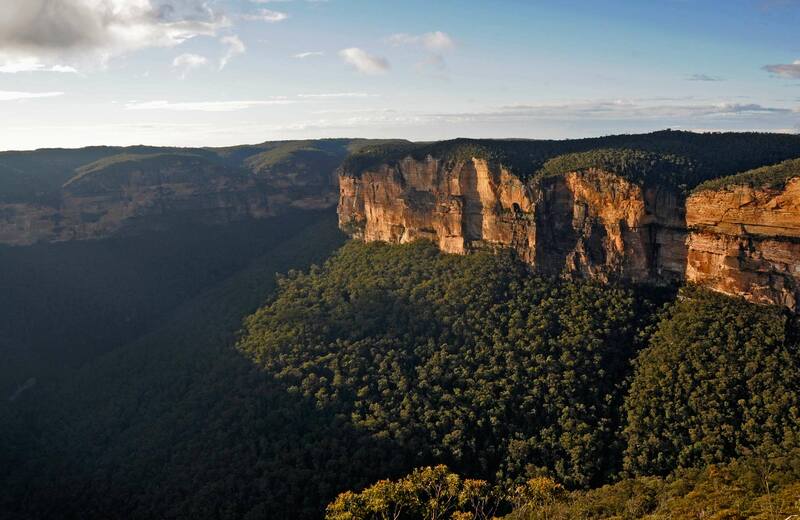 Perrys lookdown offers scenic views over Grose Valley, Blue Gum Forest and Mount Banks, on the western edge of Blue Mountains National Park. For some of the best scenic views in the Greater Blue Mountains World Heritage Area, try the steep Mount Banks Summit walk from the picnic area, near Mount Wilson.